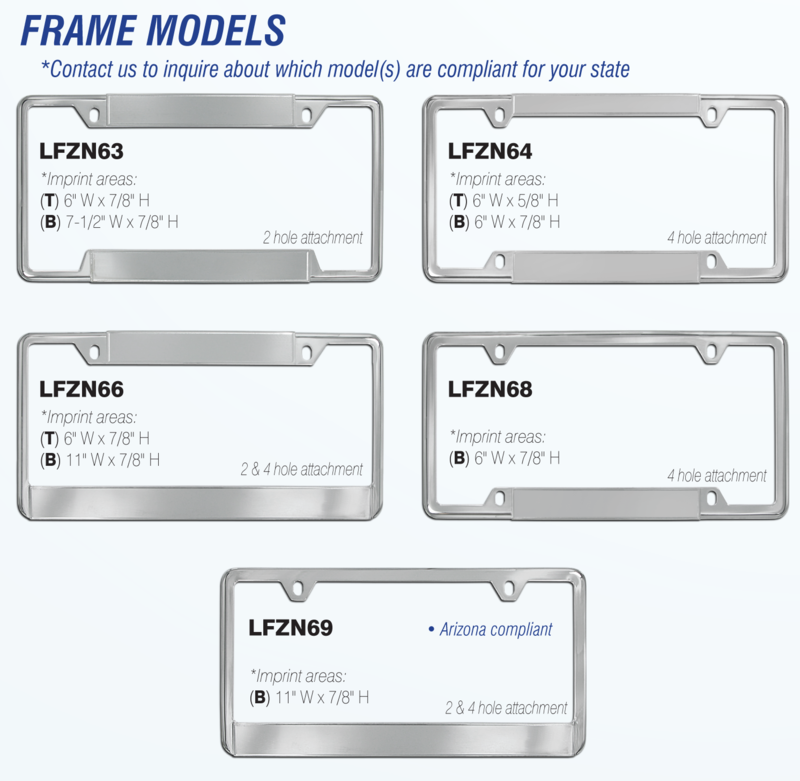 Another option for our diecast zinc frames is the Epoxy Filled Series. The raised art is filled with a colored epoxy, which we have the ability to PMS color match. The production is done overseas to keep the pricing at a minimum, but does carry a 500pc minimum.